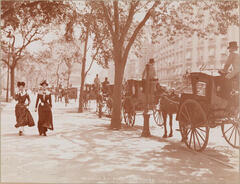 Museum of the City of New York - Madison Sq. 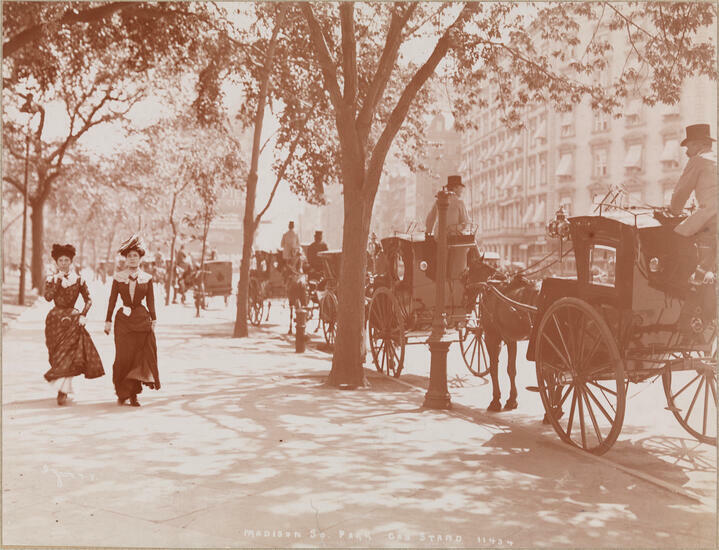 Park Cab Stand, 1901. Madison Sq. Park Cab Stand, 1901. Street scene with two women walking north on Fifth Ave. near the park; hansom cabs line the street, Fifth Ave. Hotel is in the background.